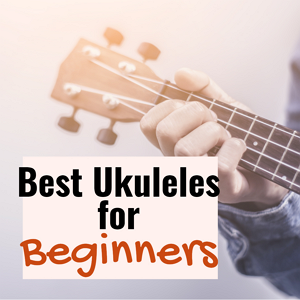 If you are a ukulele enthusiast, as with any other skills, you need to start learning somewhere, right? We have listed 11 useful tips that will keep your learning momentum going. Whether you want to initially start with a cheap model to decide if playing the uke is the right thing for you, or you have already put your mind to being good at it and you opted to go with a higher-end model, you need to do some research on what makes a quality ukulele. Our ultimate ukulele buying guide can help you with your ukulele search. First off, spend time learning about the Ukulele parts and how to tune it. Form a habit of tuning it before playing. You need to practice on holding your ukulele properly. This is important to make it comfortable for you to play the uke and to produce finer sounds. When sitting, you can use one of your legs to hold the uke’s weight and when standing you can let the body of your uke rest on your chest or belly while strumming. Let your strumming hand rest on the top of the uke’s body to play with more ease. Learn and memorize the most basic chord shapes. Doing so will increase your chord repository. This will be very useful when trying to learn new songs. You fingernails contribute to the sound your Ukulele can make. Keep your fretting hands’ fingernails neat and short to allow clean fretting for a more distinctive sound. Letting your strumming fingernails grow a little can help produce a great sound. For picking and strumming, you might want to grow your nails on the thumb, first, middle and ring fingers. Starting off, you might get overwhelmed with the plethora of songs you can learn to play with the uke. You might want to learn one of your favorite songs which is likely to have a complicated chord in it or a trickier time signature. Practicing with a complicated song isn’t gonna help. As a beginner, your focus should be improving your familiarity of moving from a chord to another, keeping steady, on-beat strumming, and producing great sound. You can enhance all this by starting with easy ukulele songs that use 3-4 basic chords in their progression. Practice can feel repetitive and tedious. And that might be a good sign! If it feels easy, you are starting to get better. Repetition is often linked to effective learning. Malcolm Gladwell wrote about reaching success in his book Outliers, where he coined the 10,000 hours rule. Successful artists and athletes he said, have an accumulated 10,000 hours of practice before they become very great at what they do. This, we can easily say, is also true with getting better at playing the uke. With persistent practice, you can surely be great at playing the uke. Before playing the uke, it is important you set your expectations high. Chances are you are going to play badly at first. But by setting realistic expectations, you can manage your frustrations and avoid getting your spirits crushed. Effective practice can improve your uke playing. From time to time assess where you are and decide if it’s time to crank it up a notch. 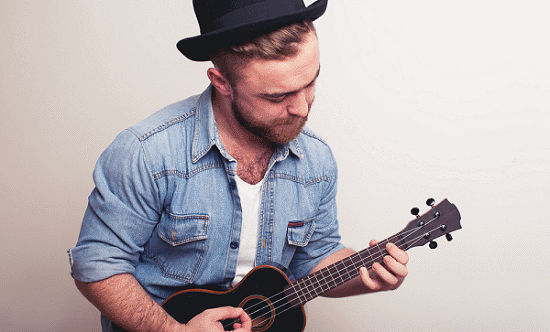 If you feel your normal uke routine is getting easier and easier, it might be time to learn some trickier songs. To pinpoint what areas of your playing need improvement you can record yourself. Listening or watching other ukulelists play, can give you an idea on how to improve your playing. You can consider this as a chance for you to learn other techniques that you can incorporate into your own style. There are many online resources you can learn from. Artists like Kimo Hussey offer uke lessons online. If you feel like getting serious on your uke playing, it will be really helpful to learn about music theory. Music theory is the language of music. Forming enough foundation in music theory can make you a better musician. By learning the building blocks of music, you can experiment more with your ukulele playing. And if by chance you wanted to start composing songs with your uke, music theory will be your best friend. See our list of recommended sites for learning ukulele online. Last, but not least, do not put too much pressure on yourself. Playing the uke should be a fun experience. The very sound of it is meant to make people dance with joy. Go have fun, play, and make people happy with your newfound smile-inducing skill. 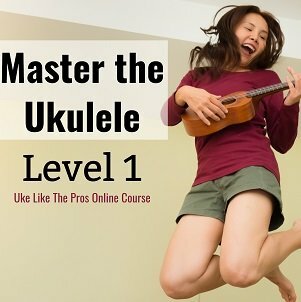 I’m planning to learn to play the ukulele and I want to make sure that I do it right. I like that you have included having fun as one of the things a newbie like me should remember. Would it be alright to cut my strumming fingernails short once in a while? Thanks for these awesome tips!